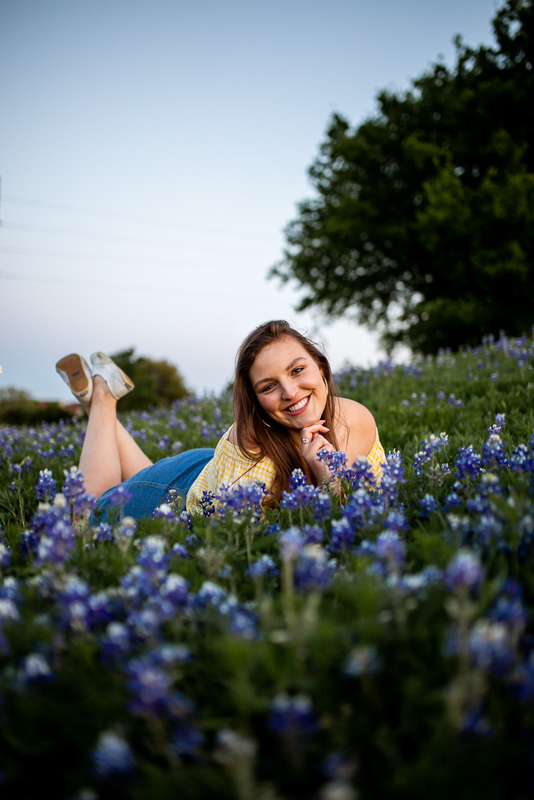 The one thing Mallory wanted for her senior pictures were bluebonnet photos. Being a born and raised Texan, bluebonnets hold a special place in Mallory’s heart. Luckily, the bluebonnets bloomed later this year and they hung on long enough for Mallory’s session! Austin has been experiencing gorgeous Spring weather up to Mallory’s session. Unfortunately, the temps dipped slightly and brought a slight chill for us. All went well, though, and Mallery brought the heat! Being a college student, Mallory has a love for coffee, so we just had to take photos at the Jo’s on St. Edward’s University! Mallory actually knew the baristas working at the time and they were able to give her a cup of tea and let us have free range to take photos around the coffee shop. The most special part of her session was that her two friends Sabrina and Jason came along as personal cheerleaders! Sabrina and Jason both graduated last year and I had the honor of taking both of their senior photos then! During Jason’s session, Sabrina came as Jason’s plus one and Mallery came along as a cheerleader and hype-friend. I loved having the roles reversed and Mallory getting her time in front of the camera while Jason and Sabrina hyped up Mallory.